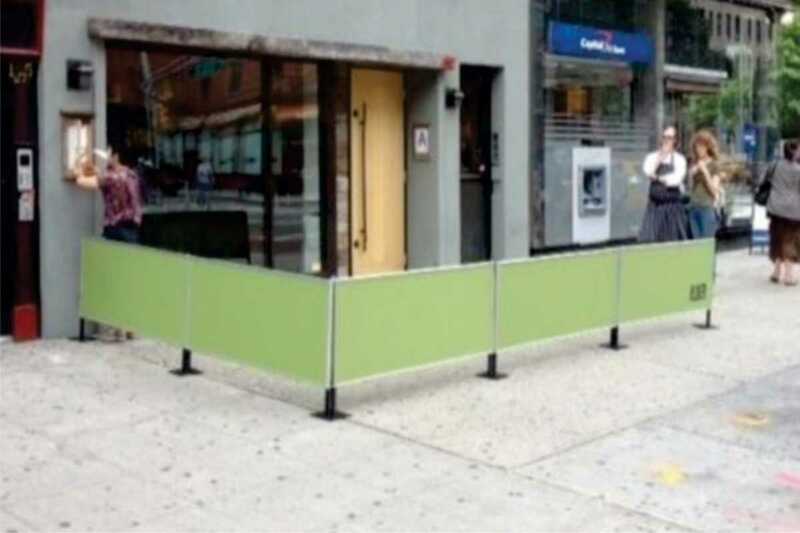 Sidewalk barriers or barricades are used by many different venues and businesses including restaurants, stadiums, theaters, or other entertainment venues as a means to organize queue, or keep pedestrian traffic separate from customers. They are also used effectively for crowd control for special events such as parades, outdoor concerts, block parties or festivals. Another common use is at construction sites to increase job safety and let workers and pedestrians know exactly where the site begins and ends. 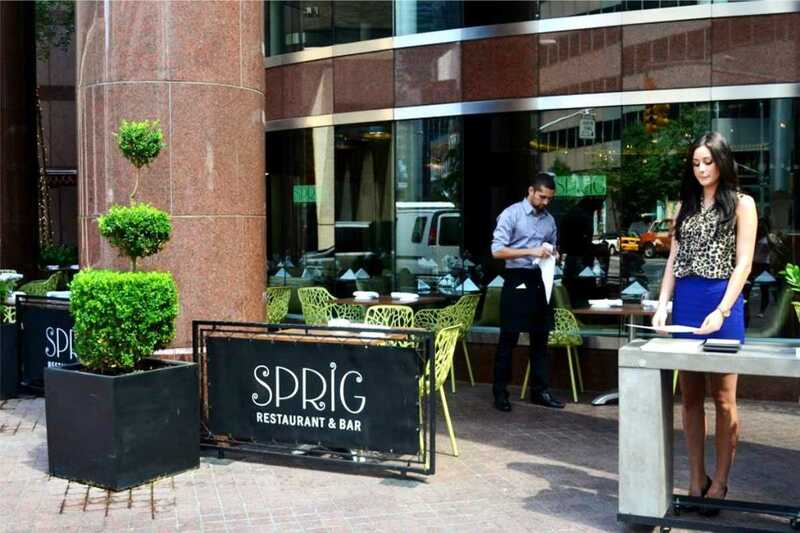 For outdoor dining or cafes, sidewalk partitions and barriers provide a clear area away from sidewalk traffic for your diners to enjoy their experience. Custom sidewalk partitions and barricades are a functional way to showcase your brand and keep your patrons safe and comfortable. New York City Signs will help you configure your units, design, manufacture and install them to your satisfaction. 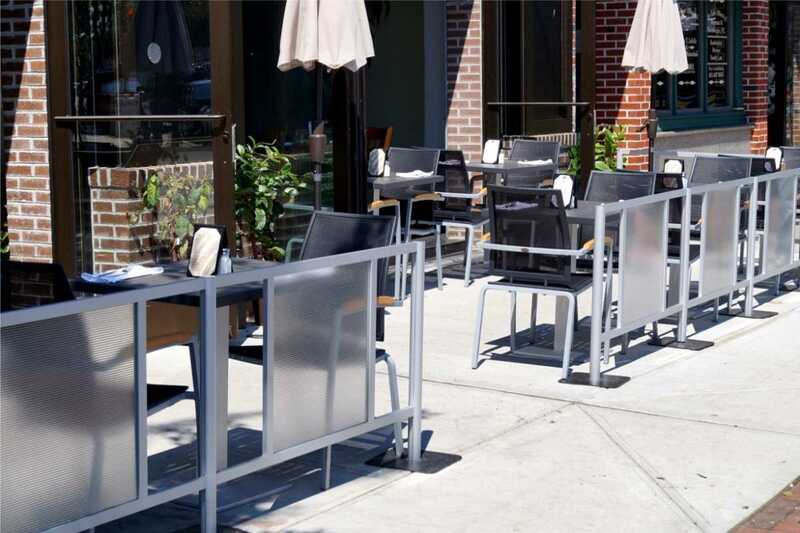 Our restaurant sidewalk barricades come in many different styles and can be made using Sunbrella fabric, metal, or plastic. 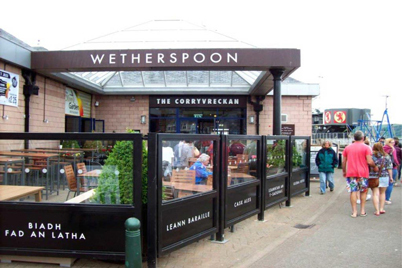 We also manufacture decorative iron barricades to match your building perfectly. When it comes to sidewalk partitions we are the number one choice in New York City. Sidewalk barricades easily add security to your perimeters and direction for your guests. In addition to their obvious crowd control benefits, they also add extra advertising space to your location. 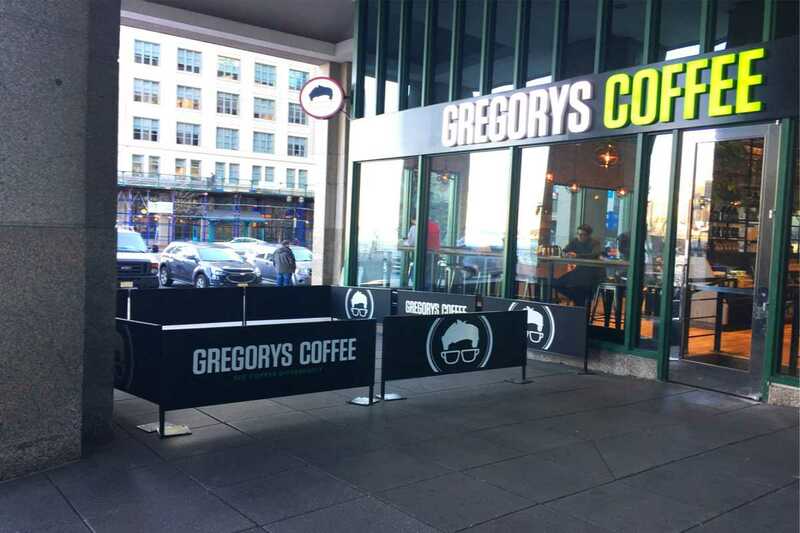 Branded barriers around a cafe or restaurant make your location more prominent and inviting. You can easily advertise your business name, seasonal products or menus or any other graphic or logo you’d like to use. Our barricades stand out because they are able to ensure the safety and organization of guests, while simultaneously promoting your brand. The association of your brand outside of your business also acts as advertising, which can draw even more customers. 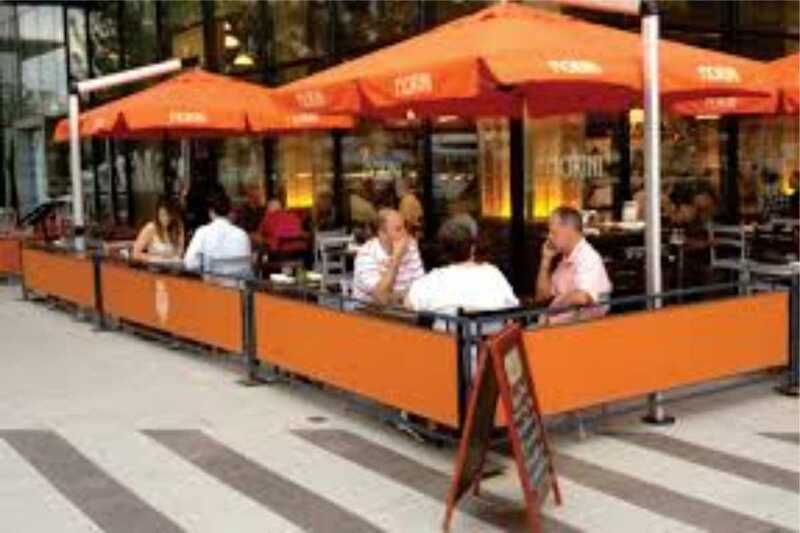 Due to the amount of people on the New York City sidewalks, your patrons can be made to feel uncomfortable at times with pedestrians walking close to them while being seated in your outside eating area. 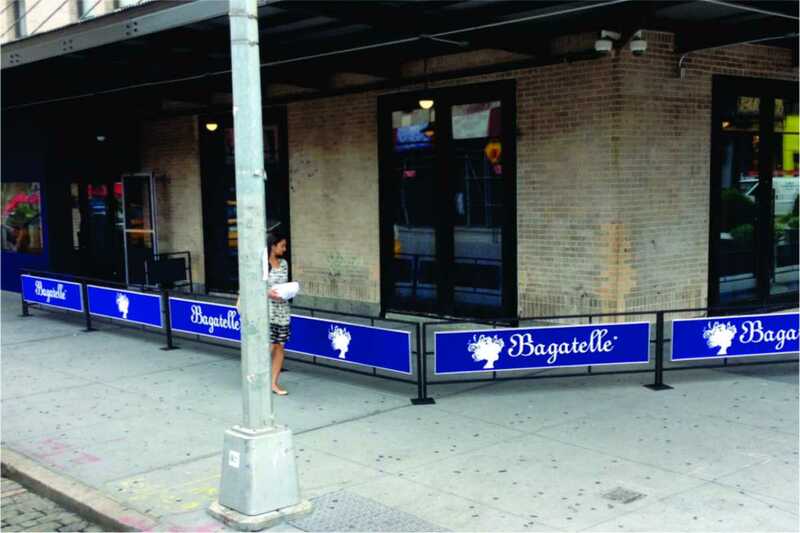 Our sidewalk cafe barricades do more than just protect your customers, they can also provide organization and structure to prevent injuries and to manage the areas around them. Establishing a sense of order outside of your business can go a long way. Your customers will appreciate your ability to not only run an organized business but to influence external factors as well. When it comes to sidewalk partitions, we are the number one choice in New York City. 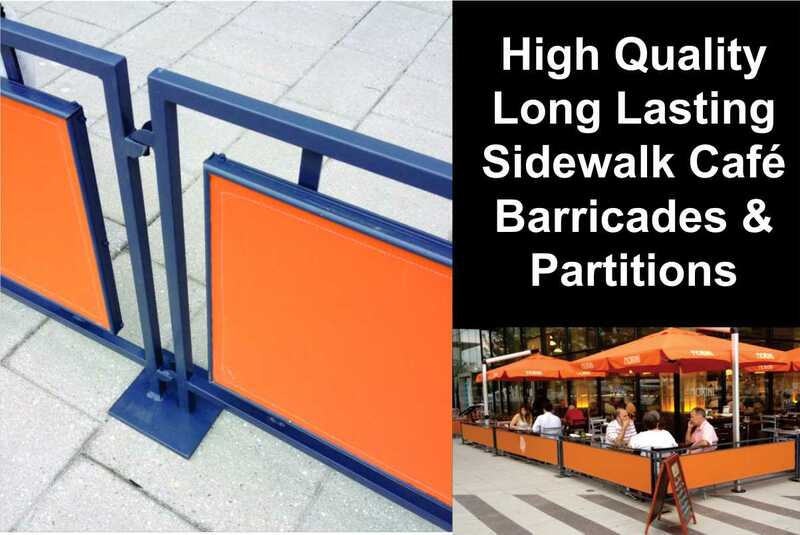 For more information on sidewalk barriers including the technical specifications and dimensions of our barriers, as well as our full portfolio, you may visit our featured product website at www.sidewalkbarriers.com. To request your quote today fill out our form.